Minimally invasive spine surgery uses very small surgical incisions (often less than one inch) and specially designed surgical tools to treat spinal disorders. Because minimally invasive surgery is performed through small tubes, there is little disruption of normal structures. This reduces postoperative pain, speeds recovery, and leads to shortened hospital stays. Many minimally invasive spine procedures can be performed on an outpatient basis. 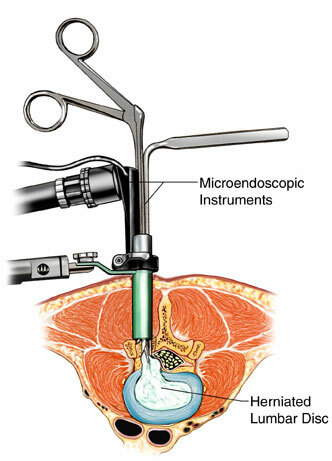 At the University of Florida, minimally invasive techniques are routinely used by neurosurgeons to perform cervical and lumbar disc surgery, as well as selected spinal instrumentation and fusion procedures.